Essential Oil Goddess specialises in Egyptian Emotional Clearing Technique (EECT) - a hands-on technique based on an Ancient Egyptian ritual for cleansing negativity and elevating awareness, using pure, unadulterated therapeutic grade essential oil blends. This gentle yet powerful technique uses therapeutic grade essential oils and other bodywork techniques to promote a deep and sacred state of connection. The experience is often like an inner vision quest, or a heightened state of meditation and mental clarity. Based on an ancient Egyptian ritual described in the Temple of Isis for "cleansing the spirit," the receiver is annointed with up to 14 different emotional blends of essential oil. The deeply relaxing effects of these essential oils and bodywork carry you to a blissful state of "presence." At the same time, the innate intelligence of these essential oils will stimulate memories and emotions, carrying you to wherever you need to go in order to reach a state of clarity and understanding. The Egyptian Emotional Clearing Technique is a beautiful and intuitive way to reconnect with the inner self, and gently release issues that are causing emotional and physical challenges. Why it works: Did you know that your sense of smell accesses the limbic system of the brain, where emotional memories and trauma is stored? Because of their aroma, therapeutic grade essential oils exert a powerful balancing effect on the emotions. The Egyptian Emotional Clearing Technique uses this concept and combines it with an ancient Egyptian ritual for elevating the spirit. Dr. Daniel Penoel, M.D. in his book Natural Home Health Care Using Essential Oils puts forward the concept that therapeutic grade essential oils have an innate intelligence. This can be explained in terms of the complex "fingerprint" of a true essential oil. Comprising of hundreds of individual constituents, each with an individual action on the body and emotions as well as a collective (synergistic)action, an essential oil works on whatever level the recipient needs it to work. Its effect can be emotional, physical or spiritual. For this reason, there is no "set" response when you receive an Egyptian Emotional Clearing Technique. Each time the technique is received, the experiences will be different. The most common outcomes after an Egyptian Emotional Clearing Technique are an intense state of clarity around current issues, the gentle release of issues that are causing emotional and physical challenges, and feelings of emotional bliss and heightened awareness. If think Egyptian Emotional Clearing Technique is for you, read more in this article What To Expect for more information. When you book a session please read Preparing for a EECT to prepare for the Egyptian Emotional Clearing Technique. The article has information about reducing detox symptoms (we will cover this thoroughly in your initial session), client history, helpful products to prepare and emotional rebalancing. Each new client must complete a Client History Form. Click on the link to download and print the form. Please bring the completed form to your first session for an Egyptian Emotional Clearing Technique. To make a booking contact Jen on 0401 089 233 or use the MAKE A BOOKING form below. If you prefer to use oils at home to assist with emotional wellness, read on to discover how to use the Feelings Collection at home. Of course, if you require a full Egyptian Emotional Clearing Technique please contact me or make a booking below. The following emotional clearing techique can be done at home on its own or as a follow up after the Egyptian Emotional Clearing Technique session with Jen. Many of us go through life laden with emotional baggage. When we endure a traumatic experience, we can end up carrying its detrimental effects for years to come. These negative feelings remain unacknowledged and before we know it we're bogged down by a pervasive sense of discontent. The more caught up we become in demanding schedules, the more we tend to push our emotional health to the background, and not by allowing ourselves time to reflect on past experiences, we neglect an important part of overall wellness. The pervasiveness of emotional discontent is well documented in modern life. The National Institute of Mental Health (NIMH) estimates that 26.2 percent of Americans aged eighteen or older suffer from a diagnosable mental disorder in a given year. This statistic equates to roughly 57.7 million people seeking medical attention for anxiety, depression and other mental illnesses. these startling figures leave many of us wondering what can be done to improve our own health and wellbeing. We can combat these negative effects by facilitating the release of negative emotions. When we allow ourselves to harness the benefits of reflection, we are taking an important step towards increased emotional health. In a time where more and more people are turning to psychotropic drugs for relief, Young Living introduces the new Feelings Collection (TM) as a natural way to leave negative recollections behind and begin each day with a renewed exuberance. Valor is the first oil blend used in the Feeling Collection application process. it is an empowering blend of therapeutic grade essential oils that works with both the physical and spiritual aspects of the body to increase feelings of strength, courage and self-esteem in the face of adversity. Begin by rubbing Valor on your feet and enjoy the feelings of relaxation and empowerment that wash over you. Renowned for its strenghening qualities, Valor enhances an individual's internal resources, and has been found to help energy alignment in the body. Next, apply Harmony to each chakra, or energy point, on the body. This exquisite blend promotes physical and emotional wellbeing by bringing harmonic balance to the energy centres of the body. Perfect for use as part of the Feelings Collection or for immediate aid when in emotional distress, the liberating, balancing and calming essential oils in this blend open us to new possibilities while contributing to an overall feeling of well-being. Forgiveness is to used following Harmony. 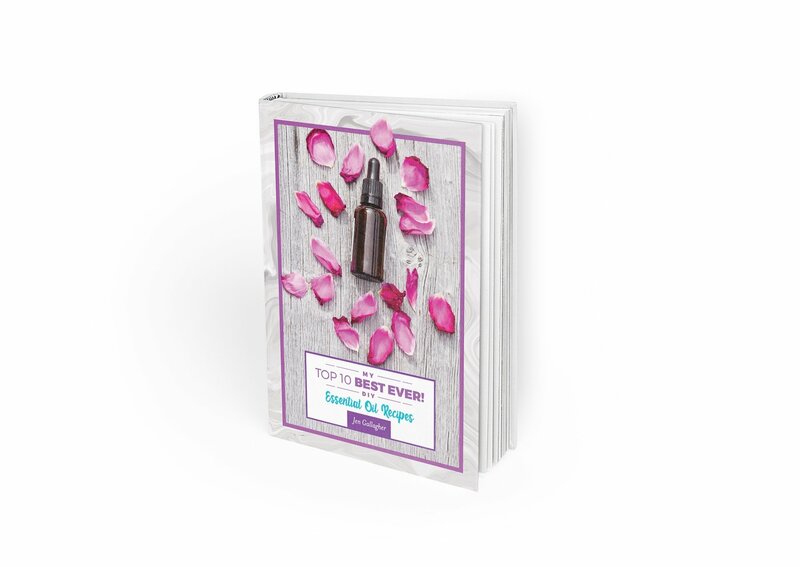 It contains a synergistic blend of soothing and uplifting essential oils that may enhance the ability to release hurtful memories and move beyond emotional barriers. Apply a drop to your naval or under your nose while meditating on the process of personal growth. We can only proceed to increased health and wellness once we have the ability to forgive and let go of negative emotions. Once you have reached a state of calm acceptance of your past experiences, Present Time allows you to focus on the here and now while leaving negative memories behind. Present Time is an empowering fragrance that heightens the sense of being "in the moment." Concentrating on the past can be counter-productive. Inhale this unique oil blend and enjoy the sensation of being completely in the present. Follow the positive feelings of Present Time with the solidifying benefits of Release. Release combines uplifting, calming oils that stimulate a sense of peace and emotional wellbeing, which in turn facilitates the ability to release anger and frustration. Release promotes harmony and balance in the mind and body, and helps eliminates the adverse effects of repressed emotions on health and wellness. Place three to four drops of Release oil blend over the liver or sternum for a grounding effect, and feel increased emotional strenght as you let go of the past once and for all. Next, harness the carefree exuberance of your Inner Child. Apply this liberating oil blend to your crown and feel it open up the pathway to your inner self. Past experiences may have closed you to the voice of your inner child, but the sweet fragrance of this blend may stimulate memory response allowing you to reconnect with the authentic self. Once you have opened your true self with Inner Child, you will have completed once of the most important steps to finding emotional balance. Finally, to bring your emotional journey full circle, end by applying Valor to the back of your neck and head in a clockwise motion. Reaffirming the feelings awakened throughout this process will leave you feeling courageous and excited about what the future holds. Inhale the therapeutic aroma as you massage Valor into your skin and envision that you are wiping your slate clean, ready to begin anew. You've been carrying around dead weight long enough - it's time to let go of the emotional baggage. Incorporate Young Living's Feelings Collection as part of your daily routine and enjoy the freedom of a truly free existence. Interested in the Feelings Collection? If you have an Egyptian Emotional Clearing Technique with Jen, some of the oils in the Feelings collection will be used. The Feelings Collection compliments an Egyptian Emotional Clearing Technique and can be used in conjunction or on its own at home on a regular basis. To order: Go to Young Living's Website and select your country. When you are prompted for a member number, use my number 956246. You will receive your own member number after this. You can choose wholesale or retail. For more information or help with ordering please contact me. You can order and have the collection delivered to your door in most countries. PS. If your country is not listed, select United States as your country. The U.S. office delivers to most other countries not listed.